Rendezvous at Skipton is a family-run hotel on the outskirts of Skipton, the town known as the Gateway to the Yorkshire Dales. The hotel boasts a canal-side restaurant and views of the nearby hills. All rooms include a TV, desk, iron (with board) and tea/coffee facilities. Free Wi-Fi is also available and some rooms have canal views. The Rendezvous at Skipton health centre includes a gym, indoor swimming pool, steam/sauna, spa pool and hair salon. A flexible conference centre is on site as well. Enjoy meals made with fresh local ingredients at the Baby Swan restaurant by the canal. Skipton town is one mile away and there is a golf course nearby too. The 3 star Craven Heifer Inn is situated at the Gateway to the Yorkshire Dales. 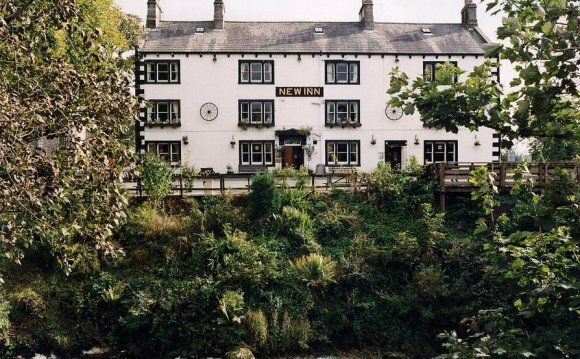 Surrounded by scenic countryside, fields and meadows the Inn is in close proximity from Grassington and the town centre with fantastic views of the local hills that is ideally located for exploring the Yorkshire Dales. Craven Heifer Inn’s 19 non-smoking rooms with en-suite bathrooms are of high quality. All the rooms feature remote control TVs, hairdryer, radio alarms, shaver sockets, tea & coffee making Facilities and refreshments The Inn’s on-site pub’s menu retains its Country Inn traditions serving real local Ales. A wide selection of snacks and children's meals complete with a free drink and ice cream is provided. A good menu range from pub grub to more refined food such as the Sunday carvery, with a choice of succulent meats supplied by local Skipton butchers and farmers. The town of Skipton is an ideal base from which to explore the Yorkshire Dales either by car or by taking a cruise on the Leeds-Liverpool Canal which crosses the Pennines. The main attraction close to Craven Heifer Inn is the Skipton Castile that is one of the most complete and well preserved medieval castles in England. The five-star Chinthurst Guest House is housed in a late-Victorian building, set among its own gardens and located only a short walk from the award-winning Skipton High Street. Rooms at the Chinthurst are en-suite and classically decorated. Each has a flat-screen TV, DVD player, hairdryer, iron and ironing board, and tea and coffee making facilities. Larger rooms feature king-size beds. The hotel offers free Wi-Fi throughout, and free car parking is available. As well as the extensive gardens, guests have use of a sun terrace. The Chinthurst serves a cooked Yorkshire breakfast, which can include smoked fish. A continental breakfast option is also available, as are fruit juices and smoothies. Skipton is renowned as 'Gateway to the Yorkshire Dales' and was voted "Best Place To Live" in 2014 by The Times newspaper. A thriving market is hosted four times a week. Nearby Skipton Castle is a popular tourist attraction. Napier’s is located near Skipton castle, housed in a building that in part dates back to the thirteenth century, right on Skipton’s main High Street where a popular farmer’s market takes place several days a week. The classically-decorated rooms at Napier’s are en-suite, and include an LCD TV as well as tea and coffee-making facilities. Each room includes solid-wood furniture. Napier’s is non-smoking throughout, and Wi-Fi is free, including in rooms. Free private parking is available, as is a left-luggage service. The hotel is centrally heated. Napier’s has its own well regarded restaurant which serves both lunch and dinner. Local produce is used where available, and fresh fish is cooked daily. Breakfast is served seven days a week. The market town of Skipton is often referred to as ‘The Gateway to the Yorkshire Dales’, and has an award-winning High Street. The town is also renowned for its many traditional pubs. Near Skipton, in the famous Coniston estate, The Coniston hotel provides comfortable accommodation to visitors to the Yorkshire countryside. All 71 heated rooms feature en suite bathroom with hairdryer, satellite TV, desk, free Wi-Fi, tea/coffee facilities, housekeeping and 24-hour room service. With 24-hour reception, the hotel offers packed lunches, luggage storage, safes, bicycle rental, babysitting, and laundry services. There are meeting/banquet rooms, business and fax/photocopying services, and wedding facilities. A non-smoking, family, pet and disability friendly hotel, it offers free Wi-Fi, free parking and a designated smoking area. A terrace, garden, falconry and grounds may be enjoyed in fine weather. The Huntsman’s Lodge is an informal lounge bar and the Macleod’s is an à la carte restaurant. A full Yorkshire breakfast is served for a surcharge. Points of interest near The Coniston include Craven Museum and Gallery, and Thornton Hall Farm Country Park, both 13 minutes’ drive away. Activities include golf (within 3 km), hiking, cycling and fishing. This small village hotel, The Boars Head, dates back to the 1700s and has plenty of character. There are six rooms each with en suite which includes either a shower or a bath. Each room has been individually decorated and all have a flat screen television and tea and coffee making facilities. There is an open fire giving a very cosy feeling especially when it’s cold outside. For guests travelling by car there is a large car park available. As well as a fine selection of wines the bar also offers a good selection of ales. The Boars Head offers a full English breakfast using locally sourced produce. There is a large bar area and the restaurant offers a specials menu or a bar menu. The restaurant is happy to cater for vegetarians or for other dietary requirements. The Boars Head is within easy driving distance of Clitheroe, Settle and Skipton the gateway to the Yorkshire Dales.